Over the course of three posts, this thought experiment will lay out the problems that exist and will exist as long as utility tokens are seen as vehicles for speculation, and assert the reasons why security tokens will be the new standard for how blockchain/crypto companies capitalize themselves. The first two scenarios lay out the problem that exists in crypto today given the absence of security tokens, and the potential problems that may arise down the line if crypto companies do not adopt security tokens as the new standard for raising capital. The thought experiment will be easier to follow by taking an illustrative company as an example. 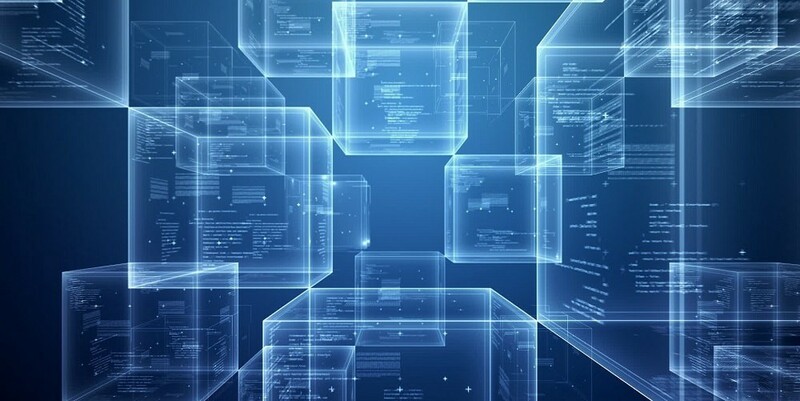 For the purposes of this thought experiment, let’s use a made-up blockchain company with the following criteria: · Company name: HouseChain · Product: Provides short-term rentals through a decentralized network · Utility Token: HouseCoin · Security Token: HouseST Before getting into the nitty-gritty, feel free to reference my posts on utility tokens and security tokens, which may serve as quick refreshers on what these things are. Let’s dive in. Scenario 1: Role of Utility Tokens in an Environment Where Security Tokens Do Not Exist and Blockchain Companies Have Yet to Develop Their Products Originally, utility tokens were proliferated (not necessarily sold) across a wide set of users: founders, developers, prospective miners, members of the crypto community, and anyone else that was teach-savvy enough to have a cryptowallet. Early crypto enthusiasts pointed to network effects as to why this practice was necessary. If the network reached its critical mass of users (i.e., critical mass of token holders), then demand for the utility token would increase with minimal or zero user acquisition costs — in other words, the utility token would appreciate in value. By mid-2017, they hype around cryptoassets kicked in into full gear and utility token issuers no longer needed to search far for willing buyers. The world could not get enough of ICOs. Buyers, drunk with the hope of multiplying their initial investment by my times over, kept pouring money into crypto with very little regard to the merits of the founding team or viability of the underlying project. Intelligent investors have entered crypto since then — and no, I’m not praising myself with this statement — tapering down the crazy hype seen in 2017. That being said, crypto is still overrun with speculation. Using the HouseChain example, let’s see how utility tokens and speculation have become synonymous with each other. HouseChain wants to create a decentralized network for short-term rentals. In order to do this, HouseChain needs to raise capital. 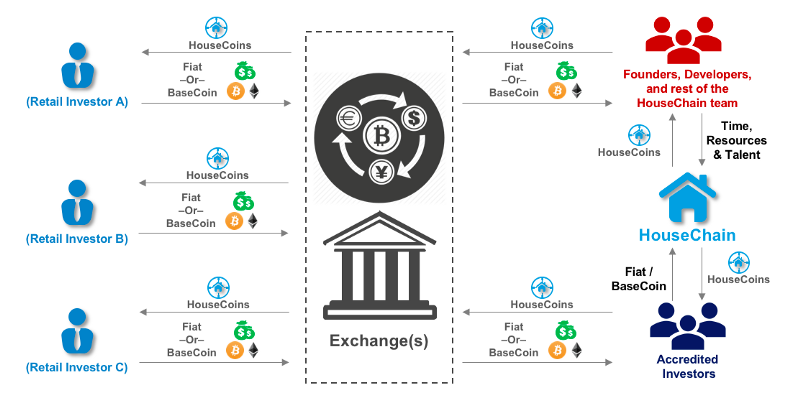 HouseChain issues a finite number of HouseCoins to sell to prospective investors. First, HouseCoins entices deep-pocket accredited investors by selling them HouseCoins at steep discounts through a series of private sells. Once enough HouseCoins have been sold to this initial set of investors, HouseChain launches its ICO, which is marketed to a wider set of accredited investors. Retail investors, which is most everyone investing in crypto, are only able to buy HouseCoin once HouseCoin is listed on an exchange (e.g., CoinBase, Binance, etc.). The deep-pocket investor buys HouseCoins at the discounted price because it expects that HouseChain will be able to sell the remainder of its HouseCoins at full price, and thus this deep-pocket investor experiences an immediate gain on its investment. The wider set of accredited investors is willing to buy at the ICO price because it expects that the price of HouseCoin will appreciate once HouseCoin is listed on an exchange. At the end of the speculation train sits the retail investor, which buys HouseCoins believing that there will be other buyers down the road willing to pay a higher price.